Do you know how to store milk? Storing milk may seem pretty simple: pop it in the fridge and consume it within a few days, and you can’t really go wrong. Right? Is there a difference in storing fresh and UHT milk? Should it always be stored in the fridge? Where is the best place for storing milk in the fridge? How long does milk last in the fridge? How long does milk last unopened? How long does milk last once opened? How do I know when milk has gone bad? What about storing milk alternatives? Well, let’s find out and give you some handy storage guidelines. When we talk about animal milk we usually mean cow’s milk. However, it can also refer to milk from goats and sheep. Milk is usually sorted and sold according to the amount of fat there is in it: whole (3.25%), reduced fat (2%), low fat (1%) and skimmed or non-fat (0-0.5%). However, neither the type of animal it has come from or its fat content makes any difference about where and how to store it. How to Store UHT Milk? The only difference is that UHT milk doesn’t need to be stored inside a fridge if it’s unopened. But putting unopened UHT milk in the fridge doesn’t do it any harm. The most popular place is on one of the shelves in the door. But milk should actually be be stored on the top or middle shelf in a fridge. Because the temperature is more stable on the shelves rather than the fridge door. How Long Does Animal Milk Last? The shelf life of animal milk depends on whether it’s fresh or treated using Ultra High Temperature (UHT) treatment. 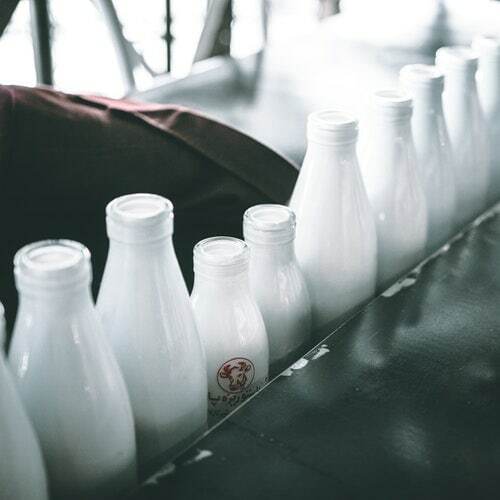 Fresh milk, either in plastic or glass bottles, needs to be stored in a refrigerator at 40℉ (4℃) or below at all times. Unopened, it will last for a maximum of 2 weeks. UHT milk in cardboard may be stored up to 6-9 months when unopened regardless of whether it is stored inside or outside a fridge. After opening any type of milk, either fresh or UHT, it should be consumed within a week and always kept in the refrigerator. TIP: To keep milk cold for longer, buy milk and other dairy products at the end of your shopping trip. Keep milk, other dairy products, and frozen food in the same bag to help them stay cold while you take your shopping home. Can You Freeze Animal Milk? Animal milk can indeed be frozen. Just be sure that the milk container has enough space for the milk to expand, otherwise it will burst and create a mess. But what about defrosting it? The best way to defrost milk is to keep it in the fridge or place the container in some cold water. It’s safer to thaw it gradually, so expect the defrosting process to take about 1-2 days. Unfortunately, there are disadvantages to freezing and defrosting milk. When freezing and defrosting milk, the flavour and texture can change. However, its nutritional value does not. Therefore it’s better to use defrosted milk as a baking or cooking ingredient rather than served fresh, such as over breakfast cereal. Freezing milk can make it last for between 1-3 months. Once defrosted, it should be consumed within a couple of days. How Do You Know If Animal Milk Has Gone Bad? To test whether animal milk has gone bad, you should smell it and look at it. Bad milk has a distinctive sour smell and lumpy texture. Its color usually changes as well. Do you always have to throw spoiled milk away? If milk doesn’t have lumps or a different color, you may still consume it. However, not as a raw product. Such milk can be used for cooking, baking, frying pancakes or tenderizing meat. These types are vegan-friendly and suitable for people who are lactose intolerant. As these milks are plant-based, the rules for storage are a little different from those for animal milk. How to Store Milk Alternatives? If you’re going to store milk alternatives unopened in a pantry, you should make sure that the temperature stays between 50-70 ℉ (10-21℃). However, once opened, you should store it in a refrigerator, the temperature at 40℉ (4℃) or below. The location for milk alternatives inside a fridge is the same as for animal milk: on the top or middle shelf of a fridge. How Long Do Milk Alternatives Last? For all four types of milk alternatives the expiration date is the same. When unopened and stored in a pantry, they will last about 1 month. However, they only last about 7-10 days in a refrigerator after opening. Can I Freeze Milk Alternatives? Although manufacturers don’t recommend it, you can freeze milk alternatives. However, it may lose its original texture. However, when defrosted, milk alternative may be brought back to its original state by blending it. The rules for freezing soy, almond, rice, and coconut milk do not differ from those for freezing animal milk. However, the shelf life is significantly reduced when freezing milk alternatives. You should consume milk alternatives within 2 months of freezing. Once you defrost and open it, use it within 3 days. The best way to thaw milk alternatives is the same as for animal milk. You should put it in the fridge for slow, gradual defrosting. In this way, milk alternatives will not lose that much taste compared to defrosting it at room temperature. TIP: To thaw a milk alternative faster, freeze it in ice cube trays. How Do You Know If A Milk Alternative Has Gone Bad? 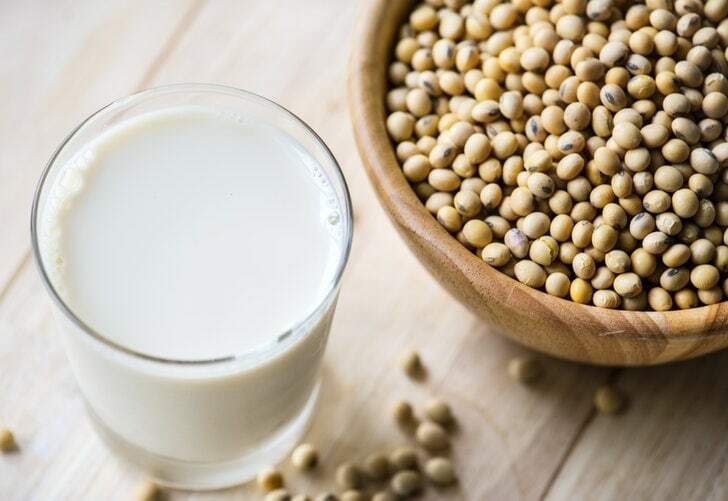 If you’re not sure whether soy, almond, rice or coconut milk has gone bad, the quickest way is to test it in a similar way as you would do with animal milk. Pour some into a clear glass and check whether it changed its color or texture, and give it a quick sniff to see if it’s developed a rancid sour smell. Keep all this in mind when storing milk, and it’ll be safer, tastier, and last that little bit longer. 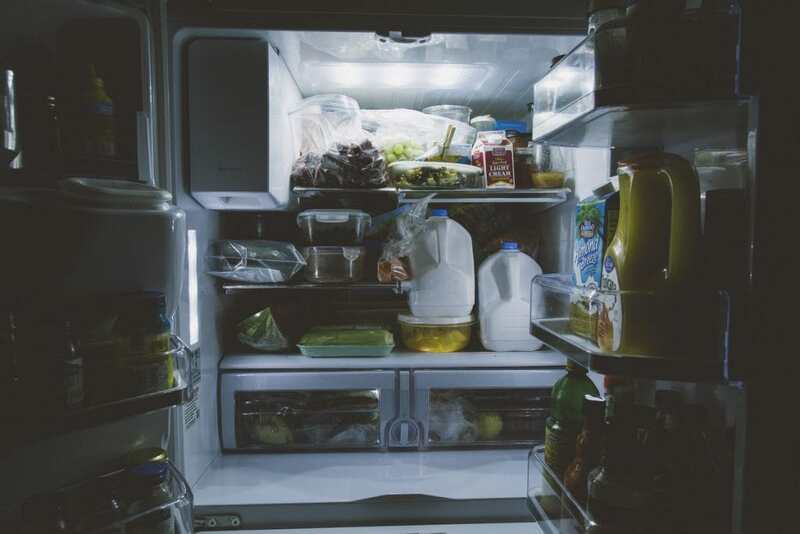 For more information on storing food, see our other “How to Store” guides.